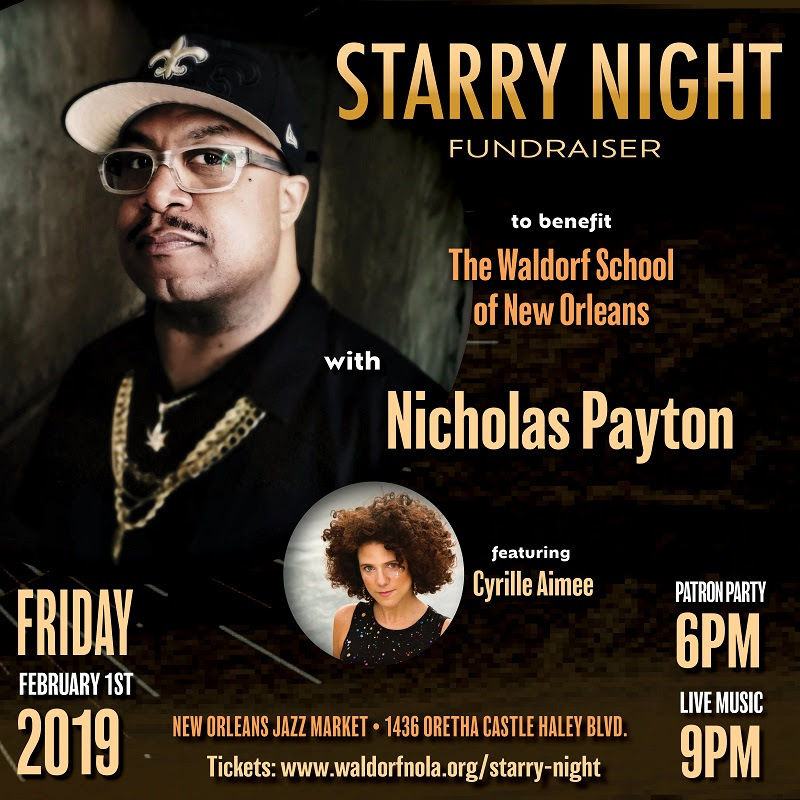 Trumpeter, composer and Grammy Award winner Nicholas Payton, a New Orleans native, is headlining Starry Night Gala, a fundraiser for the Waldorf School. The 15th annual Starry Night will be held at the New Orleans Jazz Market in Central City on Feb. 1. The gala will also feature silent and live auctions, raffles, live music, dancing, drinks and food. Tickets are available at different levels, from music-only to patron. The event will be held from 7 to 10 p.m. with live music beginning at 9 p.m. A special patron party begins at 6 p.m with welcome cocktails, special entertainment and early access to the auction, as well as recognition in the program and signage at the event. Tickets are on sale now at the Waldorf School website. Waldorf School of New Orleans serves 140 students from nursery through eighth grade at two Uptown campuses. The kindergarten through eighth-grade campus is currently at 517 Soraparu St., and the Early Childhood Center is located at 2010 Peniston St. Waldorf School of New Orleans was founded in 2000 and will be celebrating its 20th anniversary next year as it moves to its new home at the Rose Collaborative at 2539 Columbus St. in Mid City. Waldorf education is an arts-integrated method developed by philosopher Rudolf Steiner in 1919; it is celebrating its 100th Anniversary. There are 1,150 Waldorf Schools in 72 countries.